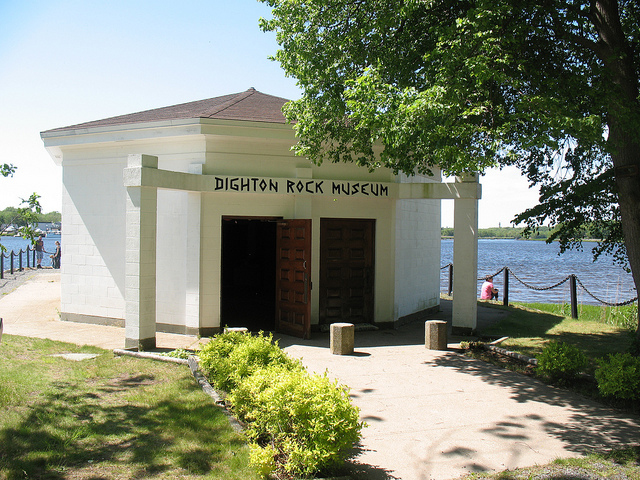 Dighton Rock Museum; photo by Aaron Knox on Flickr (noncommercial use permitted with attribution / share alike). Dighton Rock is an 11-foot-high "glacial erratic" boulder that once rested on the shore of the Taunton River. 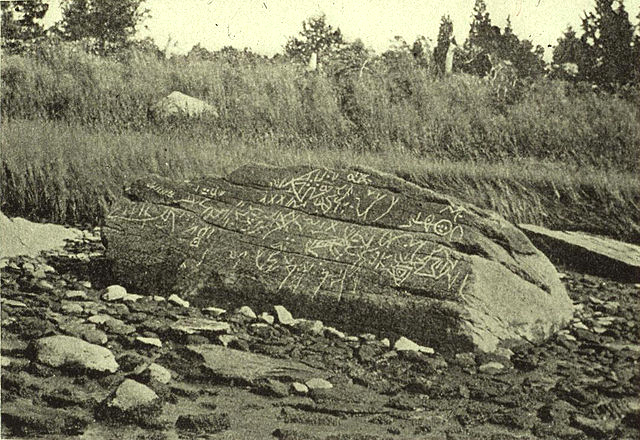 Dighton Rock is covered with mysterious petroglyphs (carved designs of ancient and uncertain origin). The rock is now installed in a small museum which is open by appointment (adjacent to Dighton Rock State Park). Massachusetts also recognizes an official state rock (roxbury puddingstone), a building stone (granite), a glacial rock (rolling rock), a historical rock (Plymouth rock), a state mineral (babingtonite), and a state gem (rhodonite). 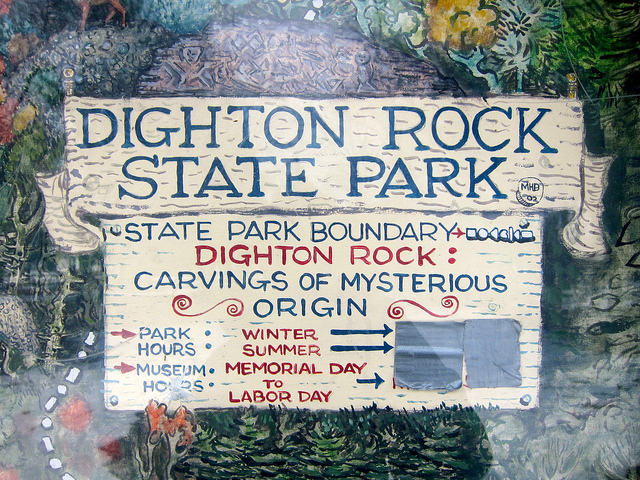 Dighton Rock State Park map; photo by Wesley Carr on Flickr (use permitted with attribution). 1893 photo of Dighton rock (public domain image on Wikipedia).